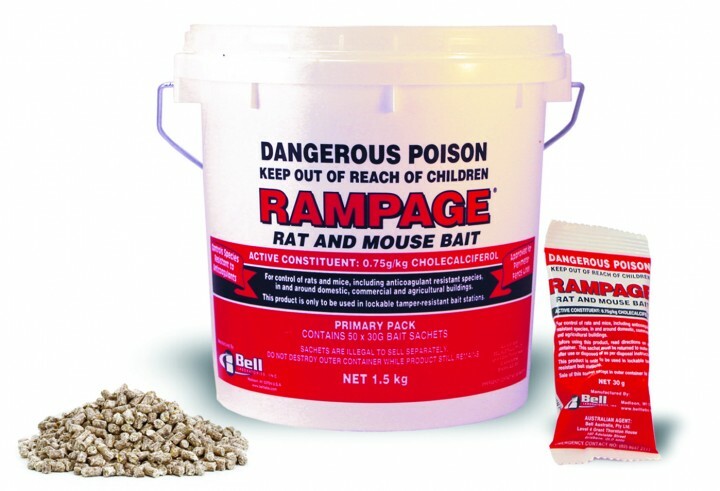 Rampage pellets are a rodenticide that prefers PMP’s the low hazard benefits of the active ingredient, Vitamin D3. 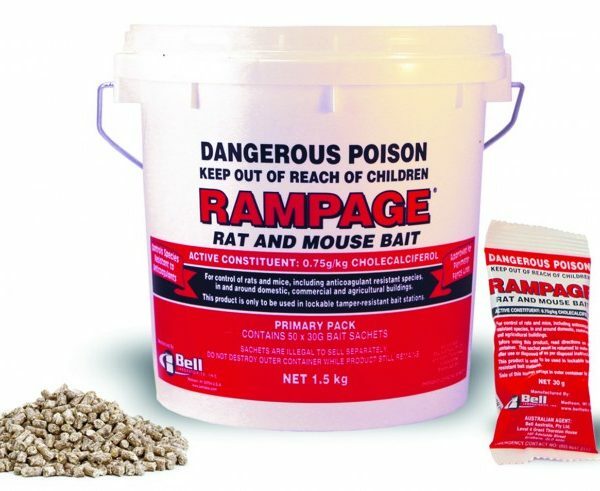 Rampage with Vitamin D3, kills anticoagulant-resistant rats and mice yet substantially reduces the risk of secondary poisoning. It also poses low toxicity to birds. Its broad label makes it an excellent choice for controlling rodents at agricultural and animal production facilities, warehousing and food processing plants, as well as for commercial and residential accounts. Rampage is extremely palatable bait with a recognised stop-feed action which reduces the need for extensive and continued baiting. Ultimately this results in lower total bait consumption with greater cost savings.